ALL-NEW DIGITAL SINGLE OUT NOW! DIGITAL SINGLE & ORNAMENT OUT NOW! CD, 7" VINYL OR DIGITAL EP OUT NOW! 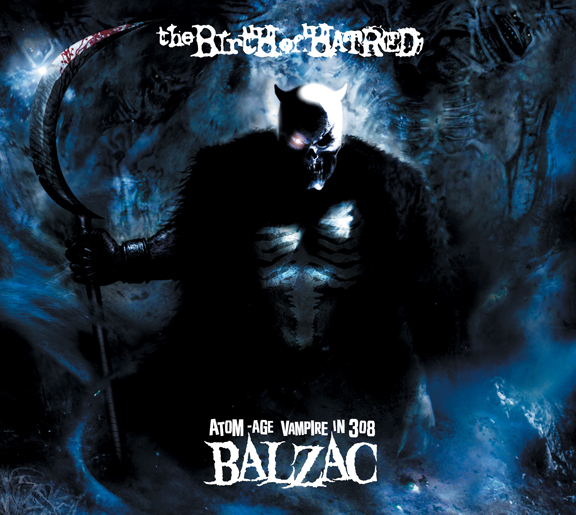 Limited Edition three-disc set from Balzac features their latest, full-length album of all-new material “Hatred” (Disc 1) + exclusive bonus tracks never before released outside of Japan! Disc 2, (“The Birth of Evil”) is a comprehensive collection of their rarest & earliest demo songs; re-recorded with the band’s current precision and ferocity, paired with even more audio rarities. The double album includes 42 tracks, over two-hours of music plus a bonus DVD with 15 music videos from “Hatred” & more. 3 full-length discs (for the price of one!) packaged in a glossy, collectible, 6-panel digipak with 8-page booklet. A must have for Balzac’s legion of fiendish fans and a perfect introduction for any new recruit to the cult of Atom Age Vampires. Available exclusively from Misfits Records. Copyright 2019 Misfits Records All rights reserved.